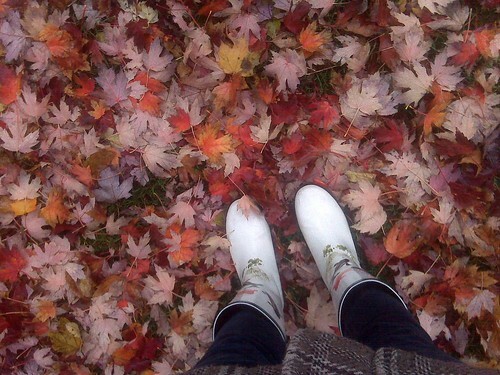 Just because the fall leaves (and my rain boots) make me happy! Taken with my Blackberry while tromping through the fall leaves of Toronto in search of prescription drugs...really I was just on my way home from picking up a prescription at the pharmacy, but that sounds more dangerous. This is what my creative space looks like today. If you’ve been around here for a bit you’ll remember this post where I shared all the places where I create in our apartment, since I don’t have the room for a dedicated workspace. The kitchen table is where my sewing machine lives (unless I actually put it in its case) and this is the creative space I’m sharing for today as part of Kootoyoo’s creative-space-show-along (okay, it’s only me that calls it that). Yesterday I tried English paper piecing for the first time; it was pretty fun! This is the first block I made. 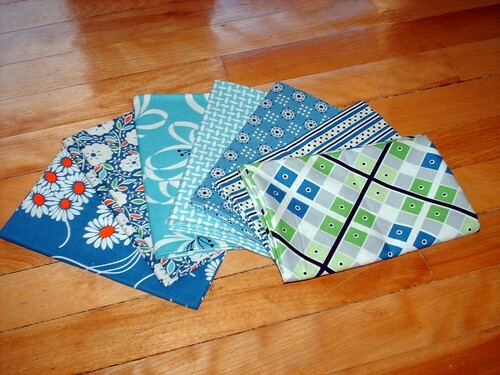 Most of the fabrics are from the new Mill House Inn collection from Fig Tree, but there are also a couple of pieces mixed in from the scrap bags I got over the weekend and a couple from my stash. Head on over to Kootoyoo’s if you’d like to check out some more creative spaces. First of all, I just need to say thank you to all of the people who stopped by my blog and left comments (75 so far and another 25-30 email comments) as part of Amy’s Blogger’s Quilt Festival. 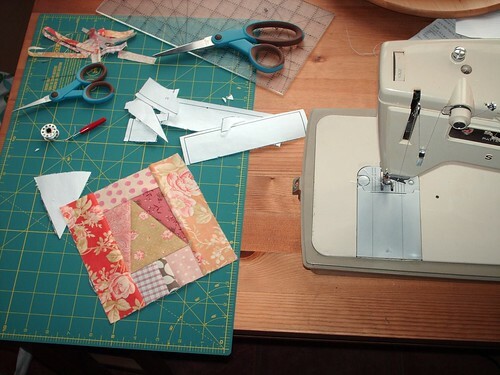 You guys are just awesome and I really appreciate all of your sweet words, encouragement, and quilting tips. In honour of all you lovely people who’ve said you’ll be back to my blog, and all of the wonderful readers who have been with me for awhile, I will be hosting a giveaway within the next couple of weeks. Things are a bit crazy around here right now because of school, but I’m hoping that if I get a little bit of time to plan in advance that everything will go swimmingly. This past weekend Alex and I went up to my Mum’s house to celebrate (Canadian) Thanksgiving and my birthday. My birthday was actually last Monday, but I was born on Thanksgiving weekend so my birthday has always been celebrated with my family then. My Mum made turkey, mashed potatoes, roasted carrots, and mixed green and yellow beans for dinner, and for dessert we had ice cream cake (my birthday cake), pumpkin pie, and grasshopper pie. It was great – thanks Mum! As part of my birthday present my Mum took me to Fabricland (the one up there is so much better than the dungeon-like one I go to here in Toronto). I usually like to buy a lot of my fabrics online or at The Workroom since the more modern American designers’ fit my tastes more, but I often get my small-scale florals and solids, and notions at Fabricland. My Mum bought me my Fabricland membership for this year (25-50% off, yay!) and then she used the discount to get me another cutting mat, a new rotary cutter (mine was super cheap), new blades, an acrylic ruler, a measuring gauge, and a couple of other small things. She also bought me some fabric! Fabricland only recently began carrying fat quarters (both pre-packaged and ones they cut in store) so I picked these 5 out. I also picked up a few metres of these fabrics. 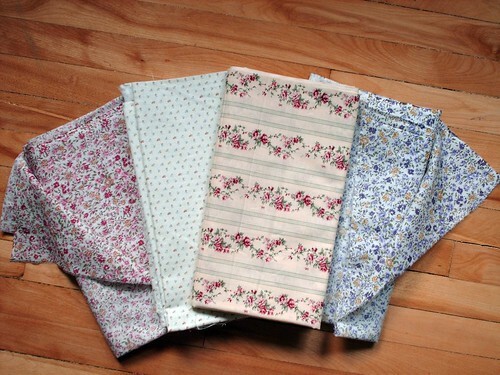 The ones on either end are the same print but in different colourways and they’re lawn! I love lawn! These just so happen to be the same print (but in blue) that I used when I made my fabric bracelet which I shared a few posts back. 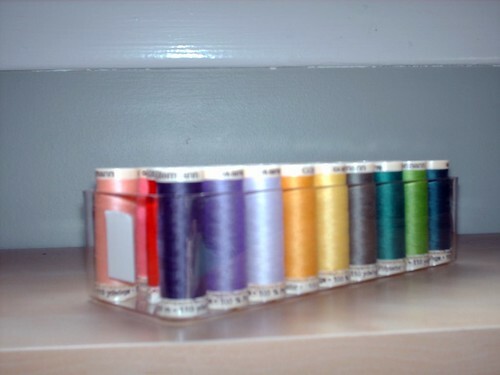 She also bought me this awesome pack of 26 different Guttermann threads, bring on the sewing! My Mum is pretty cool, eh? I have some other things to share with you all, but no time right now. I’m running out to class in half and hour and am still wearing my pyjamas! 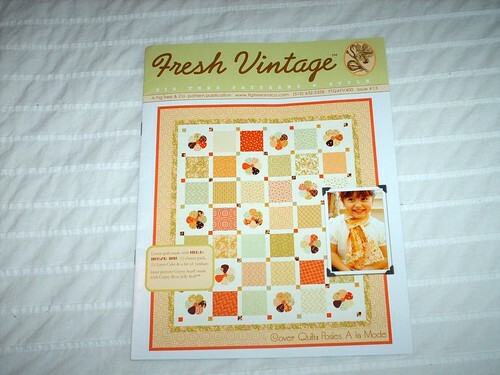 Well, as a lot of you know this weekend is Fall Quilt Market in Houston. I, of course, am not there (but I want to go so badly! 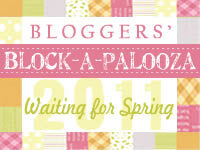 ), so I’m taking part in the Blogger’s Quilt Festival that Amy is hosting. Amy planned this event so that all of us who weren’t going to market could get up to a little fun ourselves. The idea is to show a quilt (or two) and tell their story. 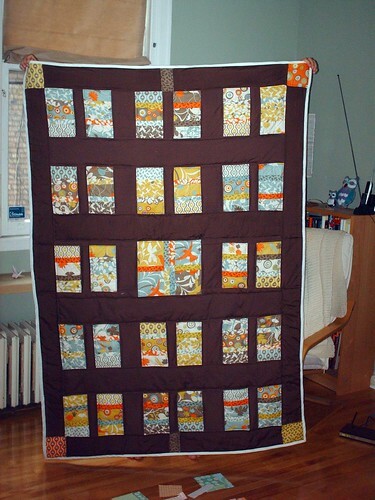 Many quilters’ will be showing their quilts, so head on over to Amy’s and check the Mr. Linky to read about everyone else’s quilts. Pull up a seat, grab a mug of tea (or whatever you want, and if you choose to spike it I promise I’ll look the other way), and sit around the fire. You can even put your bunny-slippered feet up on my coffee table if you’d like, I don’t mind. 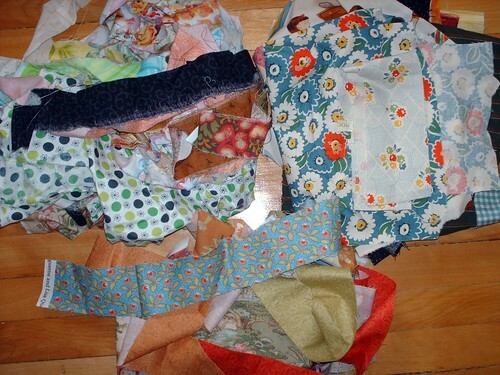 I have only made two ‘proper’ quilts in my life so far (not including the little ones I used to make for my miniature dollhouse as a child), and am currently working on my third which is a pinwheel quilt using print from Joel Dewberry’s Chestnut Hill collection and Kona cotton. I don’t really know where the original idea came to quilt. I always thought it was something I would never be able to do – it just seemed so complicated and time-consuming. 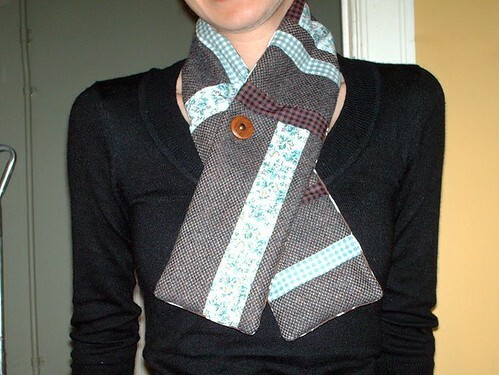 Then something weird happened: I was looking online for fabric one day and saw some, Arcadia from Moda, that I thought my friend Jenna (who was getting married a few months later) would like. 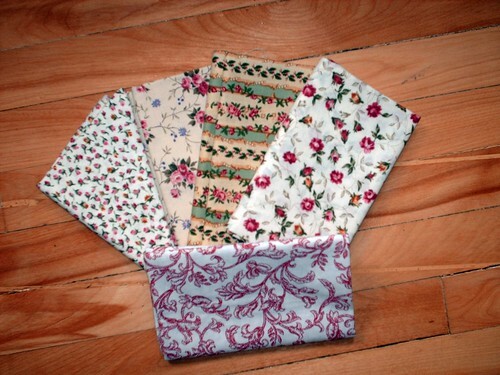 All of a sudden the thought just struck me, “you should make Jenna a quilt as her wedding gift”. 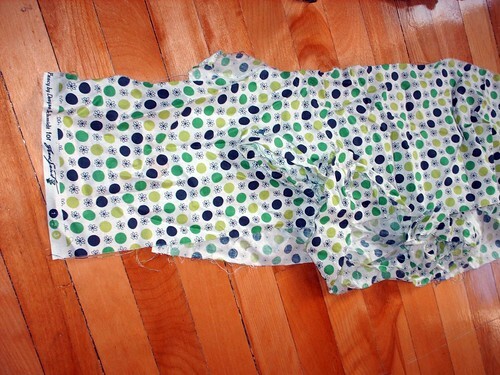 Before I knew it I had purchased the fabric, and then the nerves set in. I didn’t know how I was possibly going to make a quilt when I had never come close to making a ‘proper’ one before and didn’t have anyone to show me the basics. 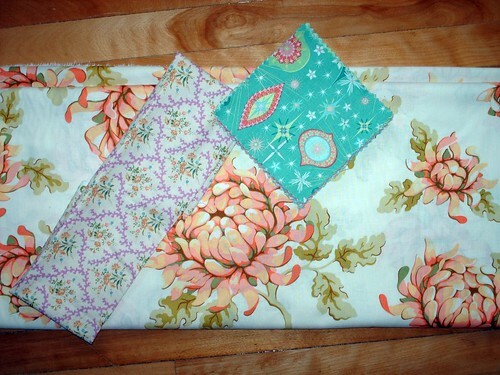 The fabric arrived and it sat for awhile, but then sometime in May inspiration struck and I began cutting. 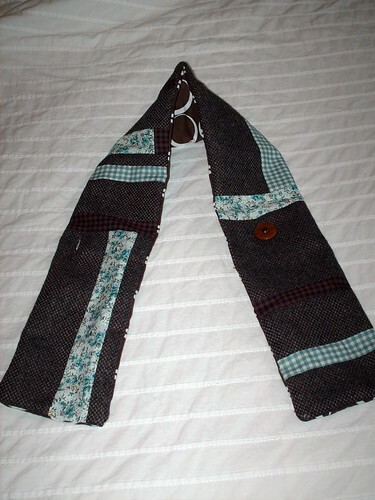 I didn’t use a pattern (probably my first mistake) and just came up with something on my own. It took longer than I’d hoped (it was only finished two days before the wedding) and I think it came out a little wonky (although other people tell me they can’t see what’s wrong with it). I was a little sad to give away my first quilt, but it was made with a lot of love. Jenna says that she loves it and has put it on the bed in her spare room. 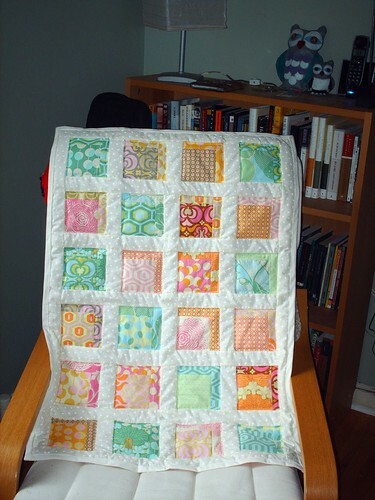 The second quilt I made was a baby quilt. It went so much smoother than the first one! Again, I didn’t use a pattern, but I really like the way it turned out and I love the colours. This one was made for a brand new baby girl named Lucy, whose father is one of Alex’s best friends. This mostly uses fabric from Amy Butler’s Midwest Modern collection, and the sashing is ivory/white cotton with little flowers that I picked up at Fabricland. I was really happy with this quilt, and Tasha (Lucy’s Mum) has informed me that people really like it and keep asking her where she got it. Maybe when I actually get my Etsy shop set up (on hold right now because my sewing machine is apparently possessed), little baby quilts like this will be included. 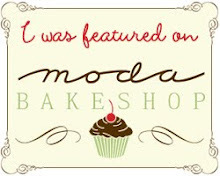 Thank you everyone for stopping by, especially those new visitors who has found me via the Blogger’s Quilt Festival. I hope that you’ll stick around and maybe we can become friends. I’m really a very nice and interesting person (that was a joke, but really, I am nice and occasionally interesting). 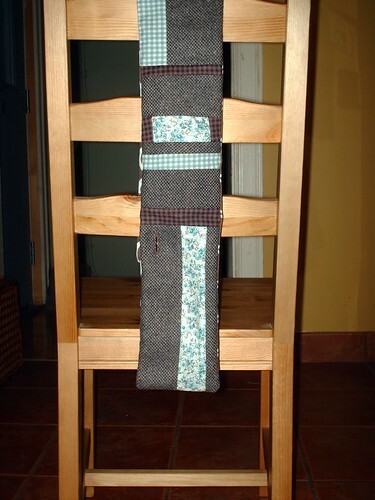 I just realized that I complete forgot to post a picture of the little bag I made for Mo for her birthday. 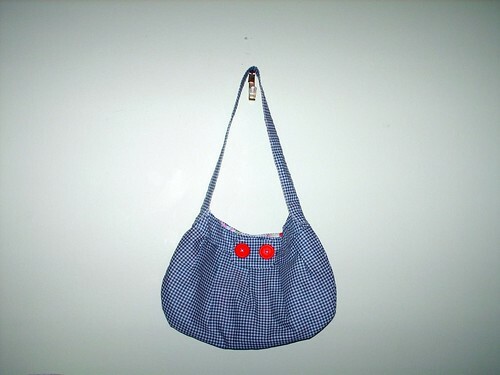 I made it using the Buttercup Bag patter from MadeByRae. The picture is horrible partly because the lighting as bad and party because I forgot to take a picture of it until right before I went to wrap it; trust me it’s a lot cuter in person. On another note, I found out the other day that my Mum reads my blog (Hi Mum! 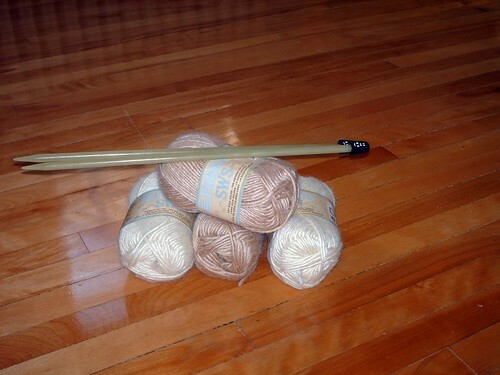 ), so now I need to be careful not to show any pictures of things I’m making for her before she receives them. I had to tell her not to look too far back through my posts because I show some pictures and talk about what I’m making her for Christmas (it says birthday in the original post, but I just was not able to finish it by then, so I made her Madeleine instead). I keep saying that I’m going to show more pictures of my vintage Lucy Maud Montgomery books and then life gets in the way and I forget to do it. 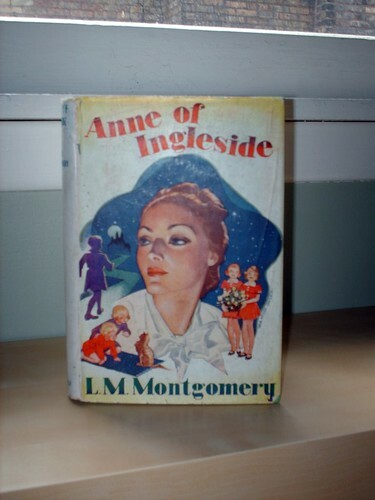 Here’s a picture of my 1954 Harrap (British) edition of Anne of Ingleside. 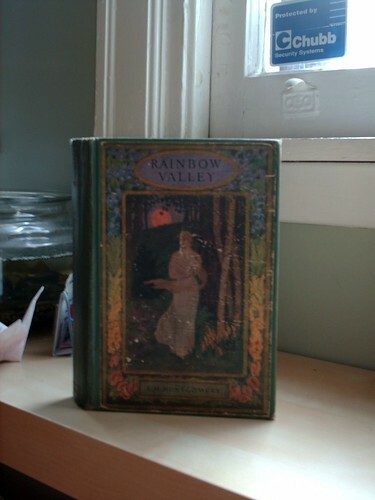 This is my first edition (1919) edition of Rainbow Valley. The cover is a little beat up but it’s really not so bad and the interior frontispiece is gorgeous (tissue paper intact). I have at least two more books to show, including one that I got for free on the weekend! Happy Birthday to Kate Winslet, Alexander Keith, and ME! I originally started writing this post just before midnight because I had to wait up until 12:04am for my Mum to call me. That’s what time I was born and so she calls me at that time every year (yes, that’s late for me to stay up, but it’s definitely better than being born at 3:30am or something and having her call me then). After getting off the phone I realized that I was definitely too tired to stay awake and finish posting, so now I continue. On Saturday night we had friends over for a little party. Alex got me a chocolate cake with a coffee meringue frosting from here, and it was super-good! I received a couple of presents – James got me this, and Mo and Dilan got me this and a set of pretty ceramic measuring cups from here. Then we all headed out to see the sights at Nuit Blanche. 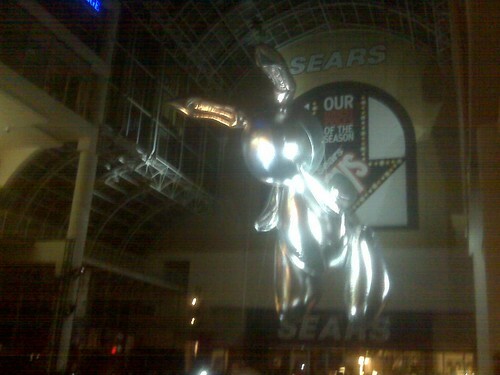 This is the crazy bunny we saw strung up in the Eaton’s Centre. I didn’t actually like much of what we saw (I know that sounds bad), but a lot of it just did not seem new or interesting. I really enjoyed going through the Royal Conservatory of Music. They’ve recently renovated and expanded and they did a gorgeous job! We aren’t able to do birthday dinner tonight so last night Alex took me to The Sultan’s Tent. 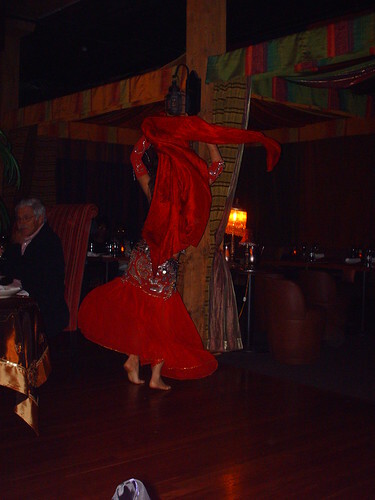 They serve a four-course Moroccan meal (I had harira, hummus and zaalouk, couscous royale, and brulee royale), and there’s a belly-dancing show! I couldn’t get a better picture of the dancer because she was all over the place, but she was really good. Also, because it was my birthday they sent over this little cake that looked like a fez. I couldn’t eat it all, I was just way too stuffed after four courses (and bread). At midnight Alex got out of bed and gave me my presents. He gave me the Danica Neema laptop bag, a Jane Austen action figure, and some candy. I love my baby! I have a bunch of other stuff that I want to show and talk about, but I have no time right now – I have way too much work to do!